Body dissatisfaction and negative body image may serve as impetus for young adults to engage in strict dieting and unhealthy eating behaviors to lose weight. Thus, dieting is becoming a common phenomenon among university students to achieve their desirable body weight. Previous studies have reported that male students are less likely to try to lose weight compared to female students and weight loss is almost the norm for female students.16- 18 Female students are concerned about body weight and place high importance on appearance. The pressure to be thin among female students is promoted by media exposure and fashion industry. Societal culture puts a greater emphasis on body weight as a measure of women’s beauty and social acceptance or belongingness. Women’s fashion magazines and models ads picture women’s thinness as the necessity to be beautiful and to attract male attention. Unfortunately the desire to be thin creates a pressure on female students to lose weight continuously and this might promote unhealthy weightcontrol behaviors such as fasting, skipping meals, taking laxatives or diet pills and food restriction.23-25 Besides, the desire to be thin may result in unfavorable outcomes such as anxiety, depression, low-self esteem, low-level of self confidence, and body image dissatisfaction.Previous research studies reported smoking as a weight-control strategy among young women.26-28 Understanding students’ dieting practices is significantly important in assessing students’ need for developing appropriate educational health awareness programs to prevent unhealthy dieting behaviors among students. Besides, college age is a risky time in terms of developing body image concerns and eating disorder tendencies that may have long-term health effects. The purpose of this study was to obtain a preliminary understanding of what dieting practices Lebanese university students use in order to achieve their desirable body weight and to determine the magnitude of their body dissatisfaction in relation to their weight status in a sample of students from the Lebanese American University (LAU) in Beirut. please find below a very useful study from Lebanon ‘Dieting practices and body image perception among Lebanese university students’. This was sent to us by a reader in Beirut. We hope you’ll find the study helpful in understanding the dieting culture that is prevailing in Muslim world and how damaging it can be. Please note no copy right infringement intended. 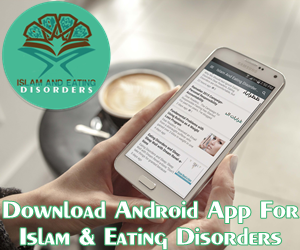 Our aim is to have all the limited literature on Eating Disorders in Muslim World in one area. Dieting is becoming a popular phenomenon among university students to achieve or maintain a healthy weight. The purpose of this study is to obtain a preliminary understanding of what dieting practices university students use in order to achieve their desirable body weight and to determine the magnitude of body dissatisfaction in relation to weight status among a sample of students (n=252) from the Lebanese American University in Beirut, Lebanon. Students filled out a self-reported questionnaire that included questions on their dieting and physical activity practices in addition to the body shape questionnaire (BSQ). Weight and height were measured to calculate body mass index. Percentage body fat was measured using Tanita scale body fat analyzer 300A. The outcome of this study showed that smoking and unhealthy dieting practices were not common among students (only 26% reported smoking, 8% reported taking laxatives and 4% taking diet pills). Half of the students reported practicing regular physical activity. Multivitamin intake was also not popular among students. BSQ scores indicate that the majority of students were not worried about their body image perception (64% reported not being worried, 19% were slightly worried, 12% were moderately worried and 5% were extremely worried). A gender difference was observed in the BSQ scores, as 89% of the “extremely worried” students were females. Collectively, results indicate that unhealthy dieting practices are uncommon among students. However, developing health promotion awareness’ programs to promote good self image within the concept of a realistic healthy weight will be beneficial, especially among females. In most of the world, the epidemic of overweight and obesity is steadily rising and it is becoming a global public health concern.1-5 Obesity is not only associated with many diet-related chronic diseases,1,2 but it is also associated with intense feelings of body dissatisfaction, low-self esteem, negative body image and social stigma.6 Body dissatisfaction and negative body image may serve as impetus for young adults to engage in strict dieting and unhealthy eating behaviors to lose weight.7-9,11-15 Thus, dieting is becoming a common phenomenon among university students to achieve their desirable body weight. Previous studies have reported that male students are less likely to try to lose weight compared to female students and weight loss is almost the norm for female students.16- 18 Female students are concerned about body weight and place high importance on appearance.19-22 The pressure to be thin among female students is promoted by media exposure and fashion industry.9,10 Societal culture puts a greater emphasis on body weight as a measure of women’s beauty and social acceptance or belongingness. Women’s fashion magazines and models ads picture women’s thinness as the necessity to be beautiful and to attract male attention.19-22 Unfortunately the desire to be thin creates a pressure on female students to lose weight continuously and this might promote unhealthy weightcontrol behaviors such as fasting, skipping meals, taking laxatives or diet pills and food restriction.23-25 Besides, the desire to be thin may result in unfavorable outcomes such as anxiety, depression, low-self esteem, low-level of self confidence, and body image dissatisfaction.24,25 Previous research studies reported smoking as a weight-control strategy among young women.26-28 Understanding students’ dieting practices is significantly important in assessing students’ need for developing appropriate educational health awareness programs to prevent unhealthy dieting behaviors among students. Besides, college age is a risky time in terms of developing body image concerns and eating disorder tendencies that may have long-term health effects. The purpose of this study was to obtain a preliminary understanding of what dieting practices Lebanese university students use in order to achieve their desirable body weight and to determine the magnitude of their body dissatisfaction in relation to their weight status in a sample of students from the Lebanese American University (LAU) in Beirut. Participants Students were recruited randomly, by a trained student accompanied by an LAU professor, from the Lebanese American University campus in Beirut during the spring 2009 semester. The response rate was high. Out of 260 students who were approached, 252 university students agreed to participate in this study. Design and sample This study was a cross-sectional survey. A sample of 252 students (43% male and 57% female), aged 20±1.9 years participated in this study. Students voluntarily entered into the study and were provided with adequate information about the study protocol. The study was approved by the university research board. Students who agreed to participate in this study were asked to sign a consent form according to the Helsinki declaration and to come later to a laboratory classroom for filling out the questionnaires and to take anthropometric measurements. Data collection Data collection took place in two steps. In the first step, students were asked to fill out a questionnaire regarding their dieting practices, physical activity, and smoking habits in addition to the 34 items of the body shape questionnaire (BSQ). In the second step, students’ anthropometric measurements were performed. The BSQ questionnaire is a self administered questionnaire developed by Cooper et al. in England to measure body shape concerns.29 The BSQ consists of 34 items used to assess students’ level of preoccupation with weight and body shape by ranking students’ responses from 1 to 6. The sum of responses generates a score. Accordingly, students were divided into four categories: not worried about body image (<80), slightly worried (81-110), moderately worried (111-140), and extremely worried (>140). BSQ score cutoff values were based on previously published research studies that were conducted among university students (in Brazil and in Spain).30,31 The BSQ questionnaire was pilot-tested on a randomly selected group of 30 students. These students were then excluded from the study. The BSQ questionnaire was tested, standardized and validated to be used among university students in a previously published study.30 Prior to questionnaire administration, students were informed by an LAU professor about the study in details. They were given instructions on how to fill out the questionnaire completely and truthfully. After filling out the questionnaire, anthropometric measurements were done the day after. Weight, percentage body fat and body mass index measurements were determined using Tanita scale body fat analyzer 300A. As fluctuations in body hydration status may affect body composition results, Tanita scale measurements were taken in the morning (within three hours after waking up) and students were instructed to fast and to refrain from any heavy physical activity before taking the measurements. Students were asked to wipe off the bottom of their feet before stepping onto the measuring platform, since unclean foot pads may interfere with scale conductivity. Height measurements were taken with a secured metal ruler. Body mass index (BMI) was used to assess students’ weight status. According to the guidelines stated by the National Institutes of Health, weight status was classified into four categories: underweight (BMI ≤18.5), normal weight (BMI between 18.5-24.9), overweight (BMI between 25-29.9), and obese (BMI ≥30).31 Normal range for percentage body fat was considered as follow: 10-20% for males and 20-30% for females (based on Tanita scale body composition analyzer values). Data Analysis Statistical analyses were performed using SPSS (version 13.0, SPSS, Inc) software. ANOVA was used to examine differences in the anthropometric characteristics. Results were expressed as means ± SD. Numerical variables were analyzed using Students’t- test or ANOVA. Chi-square tests were conducted for categorical variables. All reported p values were made on the basis of 2-sided tests and compared to a significance level of 5%. RESULTS Participants’ Characteristics A total of 252 students (108 males and 144 females) participated in this study. Mean age of the participated male students was 20.5±1.7 years and 20±2.0 years in the female group. The average weight and height of the participated students were 67.1±15.4 kg and 170±9.0 cm, respectively. Mean BMI and percentage body fat were 23.0±4.0 (kg/m2 ) and 23.1±8.2 (%), respectively. Majority of students were of normal weight (86.8% of females and 54.6% of males). Results of the BSQ scores indicated that the majority of students were not worried about their body shape. The total mean BSQ score of the sample was 76.4±33.9. Female students had higher BSQ score compared to males. The mean BSQ scores among male students was 64.8±25.9 and among females 84.9±36.8. Body shape concerns by gender Results of BSQ scores indicated that 64% of students reported not being worried about their body shape, 19% were slightly worried, 12% were moderately worried and 5% were extremely worried. A gender difference was observed in the BSQ scores. Male students were less worried about their body shape compared to female students. Eighty one percent of male students reported not being worried about their body shape compared to 52% of females. Female students reported higher BSQ scores compared to male students in all BSQ categories. The percentages of female students who reported being moderately and extremely worried about their body shape were 17% and 8% respectively compared to 6% and 1% in males (p<0.01) (Figure 1). Body shape concerns in relation to percentage body fat and weight status Results of BSQ scores in relation to percentage body fat showed that there was a significant relationship between percentage body fat and students’ level of concern (p < 0.01). As percentage of body fat increases, students’ level of concern increases. A similar trend was observed with weight status as there was a significant relationship between students’ weight status and their levels of concern: students’ levels of concern increased as values of their body mass index increased (p < 0.01). Gender differences were observed in terms of levels of concern among the studied sample. Female students reported being “more worried” about their body shape than male students and their levels of concern varied in accordance to their weight status. In the studied sample, male students regardless of their weight status were less worried than females. BSQ scores of students with normal body weight showed that 60% of the female students reported not being worried about their body shape compared to 91% of male students; whereas, none of the female students who were overweight reported being “not worried” about their body shape compared to 68% of male students (Figure 2). Overweight male students showed an opposite trend in terms of their levels of concern since none of them reported being extremely worried about their body shape compared to 37% of overweight females who reported extreme levels of concern. Contrary to male students, female students’ levels of concern showed to increase with an increase in body mass index: none of the overweight female students reported not being worried, 21% of them reported being slightly worried and 42% reported being moderately worried (Figure 2). Body shape concerns in relation to dieting practices, smoking, and physical activity Results of students’ dieting practices indicated that unhealthy dieting practices were not common among students. Only 8% of students reported taking laxatives and 4% reported taking diet pills. Smoking was not common among students as only 26% of students reported smoking regularly. Fifty percent of the students reported that they exercise regularly (Table 1) and 19% reported taking multivitamin supplements. The mean BSQ scores of students who reported taking laxatives and diet pills were much higher than those students who reported regular smoking and exercising or taking multivitamins (125±35.9, 121±38.4, vs. 77.3±33.9, 72.6±34.6, 83.4± 42.5 respectively). There was no difference in the mean of BSQ scores of students who reported regularly smoking and exercising compared to those students who reported not smoking and exercising regularly. Similarly, the mean BSQ scores of multivitamins intake among students were not significantly different. Whereas, the mean BSQ scores of students who reported taking laxatives and diet pills were statistically significant (p<0.01) compared to those students who reported not taking laxatives and diet pills. Previous studies reported an emerging trend of unhealthy dieting practices among college students.34,35 A previous study conducted by Malinaukas et al. to identify dieting practices among 185 American female college students, aged between 18 to 24, reported that 83% of their participating students used dieting for weight loss, 31% used artificial sweeteners, 32% skipped breakfast, and 9% of their students used cigarette smoking as a weight loss strategy.34 The emerging trend of dieting was also observed among Irish adolescent females.35 In our study, the results indicated that unhealthy dieting practices were not common among our students, specifically intake of laxatives and diet pills as only 8% of them reported taking laxatives and 4% reported taking diet pills. Several previous studies reported that smoking was used by young women as a weight control or dieting strategy to replace food intake.27,28,36-38 A recent study conducted among 300 students at University of Kansas to examine the association between smoking and weight control reported that current smoking among their students was related to weight loss intention.39 In our study, smoking was not common among students. Our results indicated that only 26% of students reported smoking regularly. There is a general belief that dieters usually take a multivitamin supplement to provide the vitamins that their diets are lacking as suggested by popular diet books.51-53 A recent study looked at the multi-vitamin use in relation to weight status among US adults and reported that multivitamin use was common among dieters and decreases with an increase in BMI.54 However, in our study multivitamin use was not common among students especially those with low BSQ scores. This suggests that our students were not “multivitamin” users. Study limitation This study is subject to the following limitations. Firstly, the results of this study may not be applicable to all university students because of the small sample size. 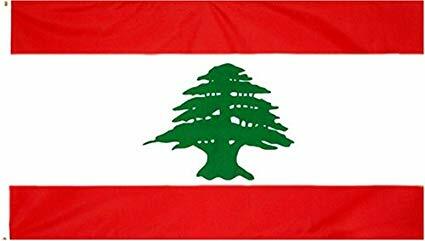 Secondly, students attending the Lebanese American University are of a high-socioeconomic status which might not be reflective of university students attending public universities. However, results of this study indicated that body image concerns do exist among students irrespective of their socioeconomic status. Overall, this study shed the light on the need for developing intervention programs that could help students to improve their self-confidence irrespective of their weight status. Excessive body image concerns among students, especially among females, may lead to adoption of unhealthy eating behaviors and eating disorder tendencies. Thus, developing health awareness programs targeting university students may alleviate the potential risk of developing eating disorders among students during their college life. CONCLUSION Unhealthy dieting practices were not common among the studied sample of students. As BSQ scores indicated, the majority of students were not worried about their body image perception. However, females were more concerned about their body shape than males and their BSQ scores varied in accordance to their weight status. Developing heath promotion awareness’ programs to promote good self-image within the concept of a realistic healthy weight will be beneficial, especially among females. Programs that raise awareness about the concept of a “healthy body weight” and programs that alerts students about the “unrealistic” body weight promoted by media images, are important to boost students’ self-confidence and minimize body image dissatisfaction especially among females. Most of the images of “skinny” models” pictured in the media are manipulated and fake. Empowering students with knowledge about the importance of adopting healthy behavior practices, such as eating a well-balanced diet, getting enough sleep and practicing physical activity regularly are key steps in any health promotion program. ACKNOWLEDGMENTS A special note of appreciation goes to Abbott Pharmaceutical company, namely Mrs Doris Salamoun: UPO-Lab Director Manager, Mrs Myriam Daher: UPO-Assistant Manager, Mrs. Zeina Oueidate: UPO-Marketing Supervisor and to all Lebanese American University (LAU) students for their cooperation and to all LAU staff who helped in this study. NY carried out questionnaire design, manuscript preparation and total coordination of the study. HG contributed to data collection. AA contributed to data analysis. SR was actively involved in study’s implementation, data collection and coordination. All authors read and approved the final manuscript. AUTHOR DISCLOSURES The authors declare that they have no competing interests. This study was funded by the Lebanese American University Research Council. 2. World Health Organization. Subcommittee on Planning and Programming of the Executive Committee of Pan American Health Organization. Obesity, diet, and physical activity: provisional agenda item 9, Feb 5; SPP37/8. Washington (DC): WHO; 2003. [cited 2010/6/29]; Available from: http://www.paho.org/english/gov/ce/spp/spp37-08-e.pdf. 3. Wang Y, Beydoun MA. The obesity epidemic in the United States-gender, age, socioeconomic, racial/ethnic, and geographic characteristics: a systematic review and metaregression analysis. Epidemiol Rev. 2007;29:6-28. 4. James PT, Leach R, Kalamara E, Shayeghi M. The worldwide obesity epidemic. Obes Res. 2001;9:228S-33. 5. World Health Organization, Regional Office for Europe: The challenge of obesity in the WHO European Region and the strategies for response. NLM Classification: WD 210. Denmark (Copenhagen): WHO Regional Office for Europe; 2007. [cited 2010/6/29]; Available from: http:/www.euro. who.int/document/E90711. 6. Friedman MA, Brownell KD. Psychological consequences of obesity. In: Fairburn CG, Brownell KD, editors. Eating Disorders and Obesity: A Comprehensive Handbook. New York: Guilford Press; 2002. pp. 393-8. 7. Nagel KL, Jones KH. Sociological factors in the development of eating disorders. Adolescence. 1992;27:107-13. 8. Crawford D, Owen N. The behavioral epidemiology of weight control. Aust J Public Health. 1994;18:143-8. 9. Dittmar H, Halliwell E, Stirling E. Understanding the impact of thin media models on women’s body focused affect: the roles of thin-ideal internalization and weight related selfdiscrepancy activation in experimental exposure effects. J Soc Clin Psychol. 2009;28:43-72. 10. McNicholas F, Lydon A, Lemon R, Dooley B. Eating concerns and media influences in an Irish adolescent context. Eur Eat Disorders Rev. 2009;17:208-13. 12. Martino S. The Rise Of Obesity In Young Women: Does The Media Have An Impact? J Humanit Soc Sci 2008;2:2. 13. Field AE, Austin SB, Taylor CB, Malspeis S, Rosner B, Rockett HR, Gillman MS, Colditz GA. Relation between dieting and weight among pre-adolescents and adolescents. Pediatrics. 2003;112:900-6. 14. Krowchuk DP, Kreiter SR, Woods CR, Sinal SH, DuRant RH. Problem dieting behaviors among young adolescents. Arch Pediatr Adolesc Med. 1998;152:884-8. 15. Canadian Pediatric Society. Dieting in adolescence. Pediatric Child Health. 2004;9:487-91. 16. Wardle J, Haase AM, Steptoe A. Body image and weight control in young adults: International comparisons in university students from 22 countries. Int J Obesity. 2006;30: 644-51. 17. Lemon SC, Rosal MC, Zapka J, Borg A, Andersen V. Contributions of weight perceptions to weight loss attempts: Differences by body mass index and gender. Body Image. 2009;6:90-6. 18. Klesges RC, Mizes JS, Klesges LM. Self-help dieting strategies in college males and females. Int J Eat Disorders. 2006;6:409-714. 19. Abraham SF. Dieting, body weight, body image and selfesteem in young women: doctors dilemmas. Young Women Health. 2003;178:607-11. 20. Turner S, Hamilton H, Jacobs M, Angood L, Dwyer D. The influence of fashion magazines on body image satisfaction of college students: an exploratory analysis. Adolescence. 1997;32:603-14. 21. Field AE, Cheung LWolf, AM Herzog D, Gortmaker SL, Colditz, GA. Exposure to the mass media and weight concerns among girls. Pediatrics. 1999;103:E36. 22. Groesz LM. Levine MP, Murnen SK. The effect of experimental presentation of thin media images on body satisfaction: a meta-analytic review. Int J Eat Disorders. 2002;31:1- 16. 23. Field AE, Austin SB, Camargo CA Jr, Taylor CB, StriegelMoore RH, Loud KJ, Colditz GA. Exposure to the mass media, body shape concerns, and use of supplements to improve weight and shape among male and female adolescents. Pediatrics. 2005;116:E214-20. 24. Tiggeman M. The role of media exposure in adolescent girls’ body dissatisfaction and drive for thinness: prospective results. J Soc Clin Psychol. 2006;25:523-41. 25. Pomerleau C, Saules K. Body image, body satisfaction, and eating patterns in normal-weight and overweight/obese women current smokers and never-smokers. Addict Behav. 2007;32:2329-34. 26. Laska MN, Pasch KE, Lust K, Story M, Ehlinger E. Latent class analysis of lifestyle characteristics and health risk behaviors among college youth. Prev Sci. 2009;10:376-86. 27. Nichter M, Nichter M, Vuckovic N, Tesler L, Adrian S, Ritenbaugh C. Smoking as a weight-control strategy among adolescent girls and young women: a reconsideration. Med Anthropol Q. 2004;18:305-24. 28. French S, Perry C, Leon G, Fulkerson J. Weight concerns, dieting behaviors, and smoking initiation in adolescents: a prospective epidemiological study. Am J Public Health. 2004;84:1818-20. 29. Cooper P, Taylor M, Cooper Z, Fairburn C. The development and validation of the body shape questionnaire. Int J Eat Disorders. 1987;6:485-94. 30. Espina A, Asunción Ortego M, Ochoa De Alda I, Aleman A, Juaniz M. Body shape and eating disorders in a sample of students in the Basque country: A pilot study. Psychol Spain. 2002;6:3-11. 34. Malinauskas BM, Raedeke TD, Aeby VG, Smith JL, Dallas MB. Dieting practices, weight perceptions, and body composition: a comparison of normal weight, overweight, and obese college females. Nutr J. 2006;5:11. 35. Mooney E, Farley H, Strugnell C. Dieting among adolescent females – some emerging trends. Int J Consum Stud. 2004;28:347-54. 36. Saarni SE, Silventoinen K, Rissanen A, Sarlio-Lähteenkorva S, Kaprio J. Intentional weight loss and smoking in young adults. Int J Obes. 2004;28:796-802. 37. Saules K, Pomerleau C, Snedecor S, Mehringer A, Shadlea M, Kurth C, Krahn D. Relationship of onset of cigarette smoking during college to alcohol use, dieting concerns, and depressed mood: results from the young women’s health survey. Addict Behav. 2004;29:893-9. 38. Kendzor DE, Adams CE, Stewart DW, Baillie LE, Copeland AL. Cigarette smoking is associated with body shape concerns and bulimia symptoms among young adult females. Eat Behav. 2009;10:56-8.